Cotton Council International (CCI) is the export promotional arm of the National Cotton Council. It’s in charge of distinguishing US-grown cotton around the world. But, in what’s often – and incorrectly – viewed as a simple commodity, how can the Cotton Council International (CCI) reinforce the premium nature of its cotton? We did it by inviting our business-to-business target to “Look Closer” at the people of COTTON USA and in doing so, communicated the passion, the commitment and the resources that go into making COTTON USA “The Cotton the World Trusts.” Storytelling forms the basis of COTTON USA’s new campaign and unites CCI’s global partners under a messaging and content architecture that’s relevant across markets. Videos like this one are shared in key cotton export markets around the world via digital, paid social and eCRM. They are featured on the CCI website and present at industry and CCI-produced events. 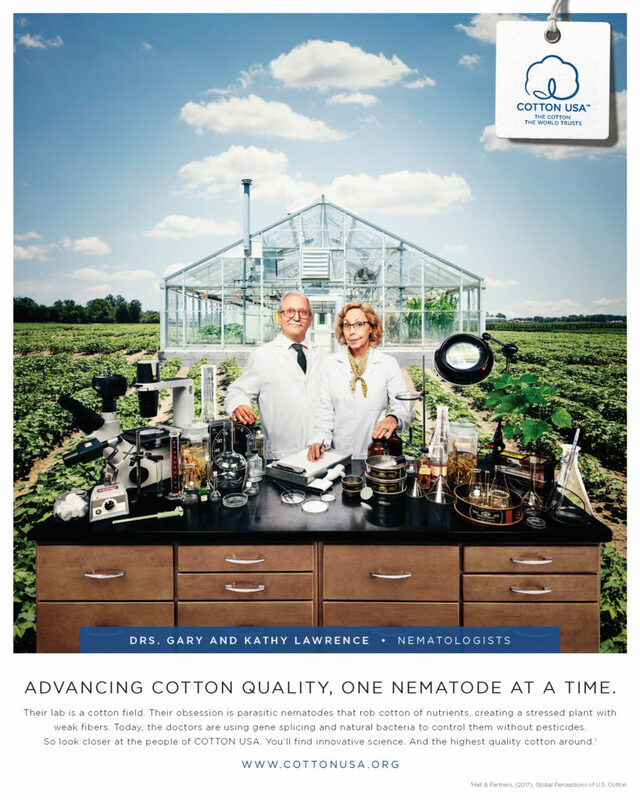 Our print work also drives the story, featuring key careers and people who help to make US cotton a leader in the world.